San Andreas is in danger of Biggest earthquake it has ever seen. Scientists have predicted a huge earthquake is about to happen in San Andreas. It will be 7.0 to 7.8 in magnitude. 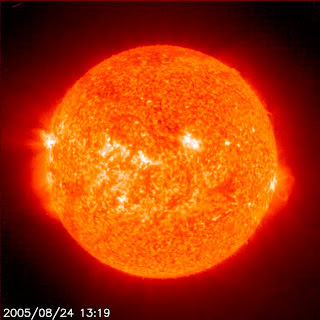 The scientists have predicted that it will soon happen which will affect the whole America by crushing down its economy , about 1200 million dollars loss and about 2000 lives may be lost. The San Andreas Fault is a continental transform fault. Its length is about 800 miles (1,300 km). It runs into California and Mexico. The motion of the fault is right-lateral strike-slip (horizontal motion). It makes the tectonic boundary between the Pacific Plate and the North American Plate. Parkfield is the small town of California, which is situated along the San Andreas Fault. Seismologists discovered that this section of the fault consistently produces magnitude 6.0 earthquakes about every 22 years. Following earthquakes in 1857, 1881, 1901, 1922, 1934, and 1966, scientists predicted an earthquake to hit Parkfield in 1993. But this earthquake struck in 2004 (see Parkfield earthquake). Because of this frequent activity and prediction, Parkfield has become one of the most popular spots in the world to try to capture and record large earthquakes. 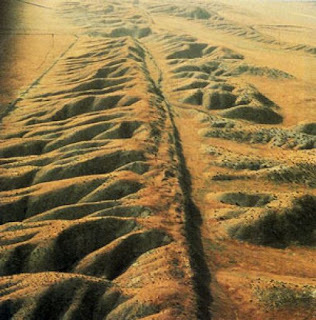 In 2004, work began just north of Parkfield on the San Andreas Fault Observatory at Depth (SAFOD). The goal of SAFOD is to drill a hole nearly 3 kilometers into the Earth's crust and into the San Andreas Fault. An array of sensors will be installed to capture and record earthquakes that happen near this area. A study completed by scientists has proved that the San Andreas fault has been stressed to a level sufficient for the next big earthquake we have ever seen. 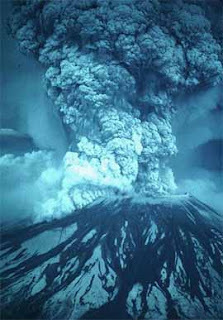 The study also shown that the risk of a large earthquake is increasing faster than researchers had previously believed. 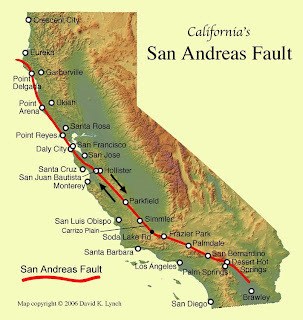 Scientists also demonstrated in their study that the San Andreas Fault had experienced massive earthquakes in 1857 at its central section and in 1906 at its northern segment (the 1906 San Francisco earthquake), but the southern section of the fault has not seen a similar rupture in at least 325 years. Southern section of Fault must have its earthquake 200 years ago but it doesn't. Scientists have said that it stores more energy to produce a major earthquake. Government has taken several measures to reduce or minimize the cost of damage. He also added that it is waiting for its turn for a long time as the waiting time increases the earthquake will be stronger. Since land mass of San Andreas was soft the damage will be unpredictable, but it is sure that it will be an major earthquake for North America in 150 years. * 1906 San Francisco earthquake: About 430 kilometers were ruptured in Northern California. The epicenter was near San Francisco. About 3000 people died in the earthquake and subsequent fires. This time the magnitude was estimated to be 7.8. * 1989 Loma Prieta earthquake: About 40 kilometers were ruptured (although the rupture did not reach the surface) near Santa Cruz, California, causing 63 deaths and moderate damage in certain vulnerable locations in the San Francisco Bay Area. Magnitude this time was about 7.1. The earthquake also postponed game 3 of the 1989 World Series at Candlestick Park. * 2004 Parkfield earthquake: On September 28, 2004, at 10:15 AM, a magnitude 6.0 earthquake struck California on the San Andreas Fault. This earthquake was originally expected in 1993 based on the latest earthquake prediction theories of the time, but eleven years passed before the predicted event occurred. Despite the extra time between events, the magnitude of the earthquake was no larger than expected.